Richard has earned several musical credentials over time including Musicology; M.A and B.A at York University. His education in music history and theory have complimented his knowledge of several music styles including Classical, Popular, Folk / Traditional, Flamenco and Blues. 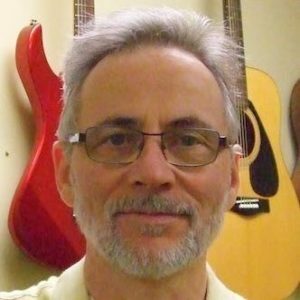 Richard has been playing for over 40 years and teaching for over 35 years. He currently teaches Acoustic / Classical Guitar, Flamenco Guitar, Electric Guitar, Electric Bass and Banjo at Melody School. He has performed in a wide range of musical styles on TV and radio, in concerts, recording studios, clubs and private functions. Richard has studied with many well-known teachers and performers, including Gordon Delamont, Tony Bradan, and Dave Phillips (Flamenco), Juan Maya (Flamenco), Lorne Lofsky, Gary Benson (Jazz).